Thank you so much for visiting my site and taking a look at my work. 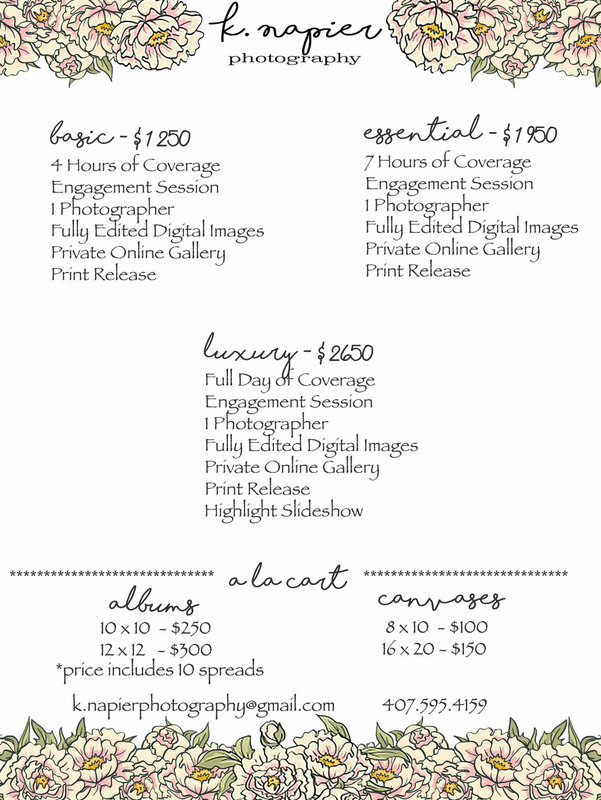 I would absolutely love to work with you and capture all of the gorgeous details of your wedding day! Below are the 4 packages that I offer but we can also create a custom package for you if none of these below are a fit for you and your day. I hope to work with you soon!